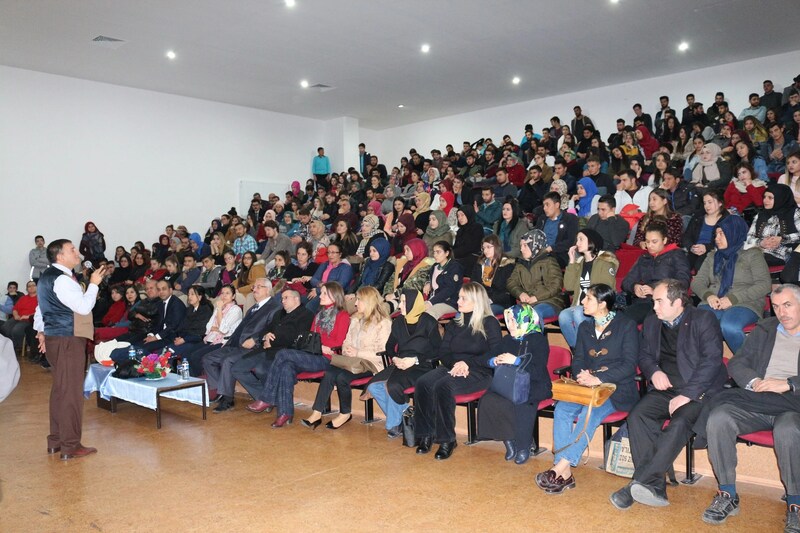 Prof. Dr. Üstün Dökmen, psychologist, writer and television programmer and faculty member of Ankara University, has come together with the students of Kemaliye Hacı Ali Akın Vocational School. 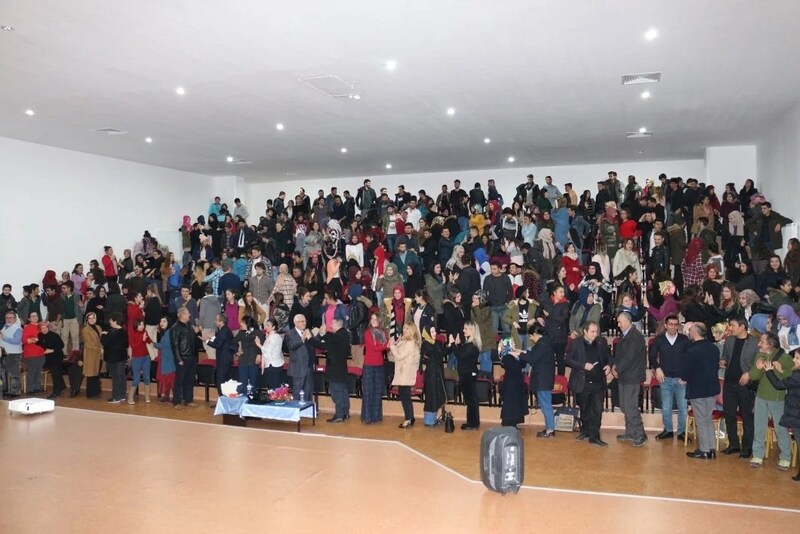 After the conversation, Mr. Dökmen has been presented the gift by Kemaliye Mayor Mustafa Haznedar and Kemaliye Hacı Ali Akın Vocational School Director Asst. 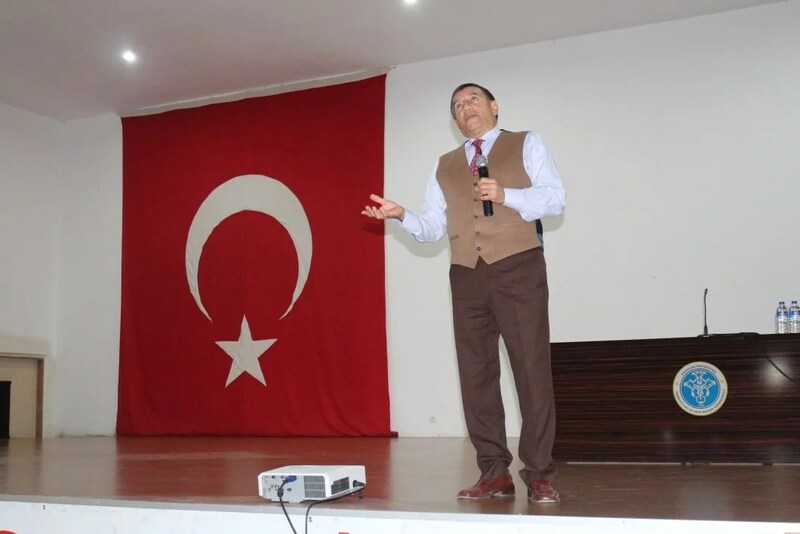 Prof. Dr. Hanifi Aysöndü.